Al Roker will serve as master of ceremonies for the Washington Monument's reopening ceremony, the National Park Service and Trust for the National Mall announced Tuesday. The May 12 ceremony is open to the public and will begin begin at 10 a.m. on the southwest grounds of the Washington Monument. Public tours of the monument will restart at 1 p.m. on May 12 after the ceremony. Tickets will be available on a first-come, first-serve basis starting at 8:30 a.m. that day at the Washington Monument Lodge on 15th Street. The Washington Monument has been closed since Aug. 23, 2011, when a 5.8 magnitude earthquake damaged the structure, requiring significant repairs. Roker will join special guests including Secretary of the Internior Sally Jewell, National Park Service Director Jonathan B. Jarvis, philanthropist David Rubenstein, and National Mall and Memorial Parks Superintendent Bob Vogel at the ceremony. Entertainment will be provided by "American Idol" season 12 winner Candice Glover, the old Guard and Fife Drum Corps, the United States Navy Band, and the Boy and Girl Choristers of Washington National Cathedral Choir. "We're looking forward to a great event and a meaningful day as we unveil the efforts of the past two and a half years," Vogel said said in a press release. 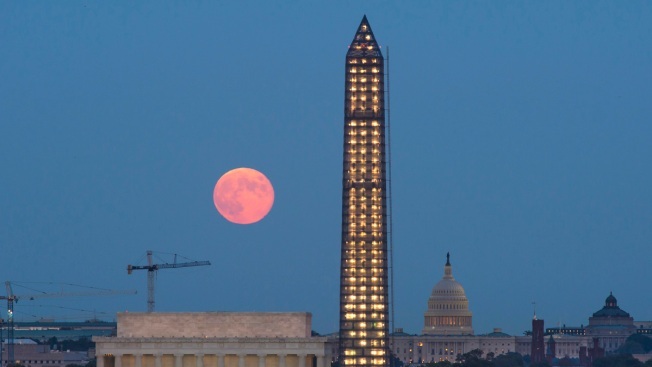 "The Washington Monument is looking spectacular -- inside and out -- and we can't wait to share that with the public."